Stocks began the day higher & then had to struggle to hold onto those gains. Dow finsished up 53, advancers over decliners 2-1 & NAZ was up just 3. Banks had another winner day, the Financial Index has risen about 20 off the lows on Aug 22. The MLP index is up 39 from its lows in early Aug & the REIT index gained 2½ to the 229s. Junk bond funds finished mixed after a tough month & Treasuries pulled back. Oil & gold were also flattish but gold had the biggest monthly gain in 2 years, on speculation that the Federal Reserve will take more action to spur growth. Federal Reserve officials debated ways to stimulate the recovery & hiring, potentially laying the groundwork for action at the next gathering Sep 20-21. A few members of the FOMC favored a “more substantial move” at the last meeting beyond the pledge adopted to hold rates at record lows for 2 years. A range of tools was discussed, including buying more gov bonds & lengthening the average maturity in its portfolio, without coming to an agreement on what they might do should the economy weaken further. 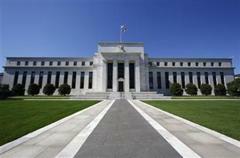 The consensus was the FED could still have a net positive effect” on the economy. Brown-Forman, a Dividend Aristocrat, with strong overseas sales overseas, had a 6% increase in fiscal Q1 profit. BF/B also sees improvement in liquor consumption at US bars & restaurants. Out-on-the-town drinking, a key segment of business, has been staggered in recent years by the struggling economy. "It's not roaring back, but it's better for sure, in my view, than it was a couple of years ago," CEO Paul Varga said. The company reaffirmed its full-year earnings projection & said it expects to benefit from brand development & wider distribution to help fuel improved net sales growth. The flagship Jack Daniel's lineup was its top performer, posting a 15% revenue gain, on a constant currency basis, in fiscal Q1 ending Jul 31. Sales for its core Jack Daniel's grew 16% across intl markets & 2% in the US. But overall, the brands had a mixed performance in Q1. The company got a lift from a weaker dollar in its intl markets. About 55% of sales were in markets outside the US. Economic uncertainties remain a concern as the spirits industry heads toward its crucial holiday period. Q1 EPS was 81¢, up from 76¢ last year & sales rose 13% to $840M. For the full year, BF/B expects EPS of $3.45-$3.85 & analysts expect $3.70 . The stock fell $1.83. The DOJ is seeking to block the AT&T (T), a Dow stock, takeover of T-Mobile because it would violate US antitrust law. AT&T proposed purchase of T-Mobile in Mar to create a new market leader ahead of #1 Verizon Wireless. “AT&T’s elimination of T-Mobile as an independent, low- priced rival would remove a significant competitive force from the market,” the gov said in court papers. AT&T was surprised by the suit & said it will ask for an expedited hearing in the matter. “We have met repeatedly with the Department of Justice and there was no indication from the DOJ that this action was being contemplated,” Wayne Watts, AT&T’s general counsel, said. AT&T intends to fight the litigation. The stock fell $1.14. Dow is back in the black YTD, not the way many analysts were forecasting late last year. Even with a strong finish, Dow lost 540 in Aug, its worst month in a couple of years. The week prior to Labor Day is not considered significant with many away on holiday, but Dow is on a 4 day winning streak & would like to extend it thru Fri (when the jobs report comes out). We'll see. Find out what's inside Trend TV!! Dow rose 75 (but 75 off the earlier highs), advancers over decliners 4-1 & NAZ wa up 20. Bank stocks continue to benefit from the Warren Buffett rally as the Financial Index is up more than 10% in the last 9 days. The MLP index jumped 4 to the 356s & the REIT index rose 1½ to the 228s. Junk bond funds were typically up 1+% in what has been a tough month for them. Treasuries were little changed as were oil & gold. But oil is headed for its biggest monthly drop since May, as signs of swelling inventories & faltering demand countered speculation the US will take further steps to bolster its economy. The pace of US private sector job growth slowed in Aug for the 2nd month in a row with employers adding just 91K positions according to the ADP National Employment Report. The Jul figure was revised down to an increase of 109K from 114K & the Aug gain was the smallest since a disappointingly small 35K in May. This report gets only mixed grades in forecasting the more important jobs data reported 2 days later. That Aug jobs report is expected to show a rise in nonfarm payrolls of 75K & a rise in private payrolls of 105K. Gov payrolls are expected to shrink for the 9th month in a row, but the decline may not be as steep as in the past 3 months since 23K state workers in Minnesota returned after a partial shutdown. 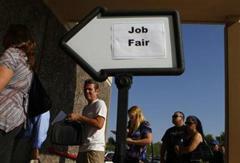 Employers announced more job cuts in Aug than last year. Planned layoffs climbed 47% from Aug 2010 to 51K according to Challenger, Gray & Christmas. Reductions were led at gov agencies & in the financial industry. “The private sector once again took a backseat to the government sector, which saw job cuts surge to the second- highest monthly total this year,” John Challenger, CEO of Challenger, Gray & Christmas, said. “More workforce reductions at the federal level are undoubtedly coming down the road. Congress and the White House are under immense pressure to cut federal budgets.” Compared with Jul, job-cuts decreased 23% but the figures aren’t adjusted for seasonal effects. Gov agencies led the layoffs with 18K job-cut announcements, followed by 8K in finance & 6K in the retail industry. Big picture, the employment front is not improving. US factory orders rose strongly in Jul on the biggest jump in demand for autos in more than 8 years & a surge in commercial airplane orders, suggesting supply chain disruptions created by the Japan crisis are easing. The Commerce Dept said factory orders climbed 2.4%, the largest increase since Mar. Orders for motor vehicles & parts rose 9.8%, the largest gain since 2003. The increase follows a decline of 0.4% in Jun. This good news is probably more timing related, catch up orders are not a sign of ongoing business. US auto sales failed to rebound in Aug as confidence sank & prospects dimmed for faster economic growth. Aug vehicle sales (to be released tomorrow) may have run at a 12.1M annual rate, below the pace 12.5M in H1 before slowing to a 12.2M pace last month. The Aug 2010 rate was 11.5M. Tempered projections for output & job gains caused forecasts for annual sales to be trimmed 900K for this year & next. Prepare for dreary numbers tomorrow. This is a quiet week when small amounts of buying or selling can produce fairly big swings. Some said the rise in factory orders was good news, ignoring that it could be more timing related. Bulls are happy, they always like to see rising markets (especially after what has been a rough month for stocks). With the Fri jobs report looming, chances are not a lot will be decided until then. Dow finished up 20, advancers over decliners 5-2 & NAZ gained 14. Banks had a tough day after a tough month. But the Financial Index is up 10% from its lows last week. The MLP index blasted thru 350, intent on making it a floor once again, while the REIT index rose almost 1 to the 227s. Junk bond funds were mixed in what has been their worst month since the Lehman collapse almost 3 years ago. Treasuries gained. Oil rose, advancing with gasoline & heating oil as East Coast refineries worked to restart after Hurricane Irene & on signs the housing market is stabilizing. Gold had another solid gain, it may want to take out its recent highs above $1900. Its chart shows is up about 15% in Aug from buying by nervous investors in what has been a bad month for stocks. The Federal Reserve (FED) considered a range of actions to help a struggling economy at its Aug meeting, including the unprecedented step of tying the interest rate policy outlook to a specific unemployment level. Before settling on a promise to keep rates near zero until 2013, which prompted 3 dissents, FED officials noted the economic outlook had worsened significantly, arguing that the weakness seen during the first half of the year could no longer be dismissed as solely temporary. "Participants noted a deterioration in labor market conditions, slower household spending, a drop in consumer and business confidence and continued weakness in the housing sector," according to minutes from the Aug 9 meeting. A few members wanted to take even bolder action but, the minutes said, "were willing to accept the stronger forward guidance as a step in the direction of additional accommodation." At its meeting, the FED discussed a range of tools for additional monetary easing, including engaging in further asset purchases or shifting the composition of bonds on the central bank's portfolio toward longer-dated maturities. They're confused about the economic recovery like about everybody else! Dollar General posted bigger-than-expected gains in Q2 sales & profit & raised the low end of its full-year forecast. Same-store sales rose 5.9%, a faster clip than the 5.4% in Q1 & the gross margin decline was much narrower than in Q1. Customers are buying an increasing proportion of lower-margin necessities as they cut back on discretionary purchases due to higher gas prices & high levels of unemployment. The weak economy is a double-edged sword. As lower-income shoppers seek low-priced food & other basic goods, a soft economy brings new customers into its stores. DG, with 9600 stores, sales rose 11.2% to $3.6B. Q2 EPS was 42¢, up from 41¢ last year. EPS was 52¢, excluding items, above forecasts of 48¢. Shoppers buying more food & basic goods rather than discretionary items pressures profitability, as those items generally carry a lower gross profits than other goods while prices paid for goods rose due to higher commodity & fuel costs. DG expects EPS of $2.22-$2.30 for its 53-week fiscal year, versus a prior forecast of $2.20-$2.30 & expects sales to rise 12-14%, up from a prior forecast of 11-13%. Same-store sales were guided to increase 4-6%, versus an earlier forecast of 3-5%. The stock is up $1.97 & has done well in 2011. If there is any reasoning behind the gains this week, it's on hopes of more economic stimulus. Of course that is a touchy subject if it's to come from the federal gov which is looking for ways to reduce the whopper size deficits. It's uncertain what the FED might do to stimulate the economy, especially when the members were divided at the Aug meeting. The rest of the week will probably feature a lot of shloshing around on low volume, waiting for the jobs number on Fri.
Stocks have recovered much of the early AM losses. Dow is down 33, decliners over advancers 3-2 & NAZ slipped 5. Bank stocks, market leaders, fell on more dreary news at Bank of America (see below). The MLP index was up 1+ to the 351s, taking it above the important 350 ceiling, while the REIT index fell 3 to the 223s. Junk bond funds were mixed & Treasuries were strong. The graph for the yield on the 10 year Treasury below shows it has been holding above 2% in Aug. Oil advanced for a 4th day, reaching the highest level in almost 2 weeks. Gold rose on speculation that the Federal Reserve will ease monetary policy further to stimulate the economy, boosting the appeal of gold as an alternative asset. Consumer confidence crumbled in Aug to its lowest level in more than 2 years as the fallout from political wrangling over a budget deal took its toll. The Conference Board said its index sank to 44.5 from a downwardly revised 59.2 in Jul. The index was far below a forecast of 52.0 & was at the lowest level since Apr 2009. Today’s confidence report is in line with other figures. The Thomson Reuters/University of Michigan final index of consumer sentiment dropped this month to the lowest level since Nov 2008. The Bloomberg Consumer Comfort Index has been hovering at levels previously consistent with recessions. The stock market rally in the last week was overdone. Finland’s demand for collateral on new Greek loans is leaving European leaders with 2 choices: accept the AAA rated nation’s terms & risk the rescue plan or reject collateral & help bring Finnish euro-skeptics to power. Prime Minister Jyrki Katainen can’t back down on the collateral demand as his gov would likely collapse. Luxembourg Prime Minister Jean-Claude Juncker, chair the euro-area finance meetings, said he was “confident” an agreement could be reached by mid-Sep, while criticizing the call for collateral. “I don’t like this mechanism and I don’t like the bilateral arrangements,” he said. The matter may take just days to resolve, Katainen said today. The collateral flap reflects the bailout fatigue that is spreading in the more fiscally prudent countries of northern Europe, fueling support for political parties opposed to bailout aid. National politics is increasingly at odds with efforts to forge European unity, complicating a comprehensive response to the debt crisis that now threatens Spain, Italy & France. European sovereign debts remain a major problem for the weaker countries. The FDIC is objecting to Bank of America, a Dow stock, $8.5B settlement of Countrywide mortgage putback claims. This could put the final nail in the coffin for the settlement after the bank arrived at the settlement in Jun. Andrew Gray, the director of the FDIC's Office of Public Affairs, said the agency's court filing was "simply a formal notice to preserve our right to make claims as a part of the settlement and seeks additional information to evaluate those potential claims," & that the filing was "not an evaluation or opinion on the settlement itself." The filing is a "Notice of Intention to Appear of Object," & the agency is objecting to the agreement because it's holding Countrywide mortgage paper "covered by the proposed settlement" inherited from "numerous" failed banks, because it "does not have enough information to evaluate the Settlement." The FDIC joins various other parties objecting to the Countrywide settlement. Another dark cloud for BAC that is not going away. The stock has been trying to make a comeback, but fell 21¢ today. The recovery by the markets in the last hour is more a reflection of not a lot going on rather than real conviction. The MLP index wants to rise above 350 which has been a key support, then ceiling level this summer. The consumer confidence data & dreary news on restructuring European debts are not encouraging as markets get ready to begin the worst month of the year.